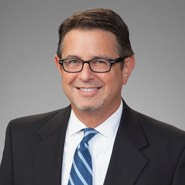 TAMPA, FL — The national law firm of Quarles & Brady LLP today announced that Jeffrey Shear has joined the firm's Tampa office as a partner in its Real Estate Practice Group. Shear represents developers, lenders and institutional investors in the acquisition, development, financing, and disposition of commercial and residential real estate, including residential and commercial condominiums, multifamily developments, office buildings, hotels, shopping centers, and mixed use projects. His representation also includes land use, zoning, and permitting issues, as well as representation of landlords and tenants in commercial lease preparation and negotiation. He received his law degree from University of Florida College of Law and his bachelor's degree from Tulane University.